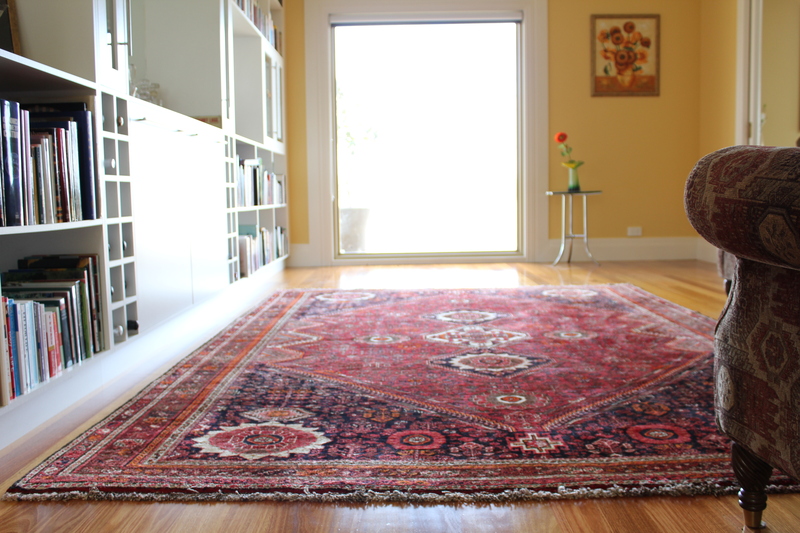 Persian rugs and carpets are an obsession for Margaret Jasper at The Persian Room, right here in Australia. In 1974 Margaret made her first purchase. As more purchases were made, the first one always seemed a puzzle. After numerous hours of reading and looking and a visit through Shiraz, Isfahan and Teheran in 1977, the Persian model of a carpet took coherent form. One day the penny dropped. That first purchase was a copy of a Persian rug. Then began the true journey that continues to today, the search for outstanding, genuine hand woven pieces that reflect the weaver’s heritage. are so intergral to the product. In that period Iran was home to the jet set: Elizabeth Taylor had recently had a huge party at the ancient ruins of Persepolis, and the country was home to over 1 million Americans. Security forces were highly visible, with an equivalent number of secret police on the ground. It was a common sight to see stretched black Mercedes, with black glass windows, gliding through the streets of down town Teheran. Margaret spent a quarter of a century in the corporate world and as a reward for all the long hours and to indulge her growing passion, she began a collection of Persian rugs that would be of international standing. In 2003 Margaret retired from corporate work, and took a second shopping trip to Iran. Visiting the two major retailers of old Persian pieces was an interesting experience. One, described as “a very holy man who supported large numbers of the poor”, refused to work with a foreign woman. The second, of more urban sensibilities, welcomed the foreigner as family. It was through this that several wonderful mid to late 19th century masterpieces were purchased. Retirement did not last long. 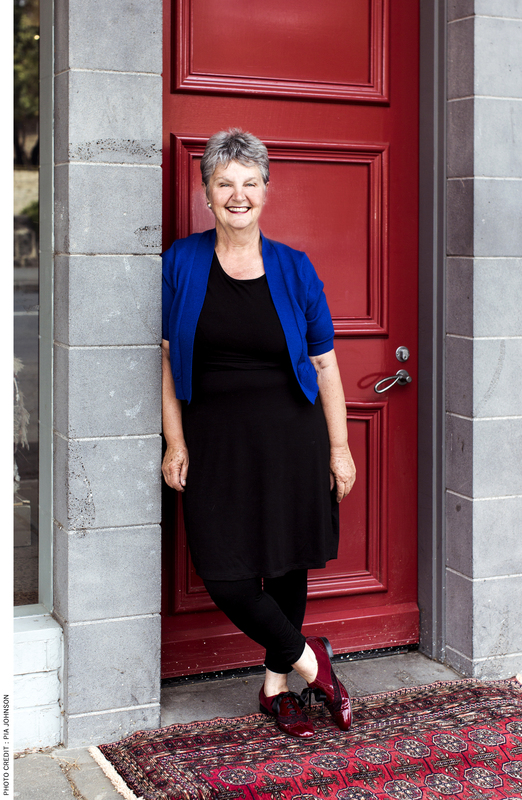 In December 2003 Margaret opened her first shop in Piper Street, Kyneton. A brave move as at the time Piper Street was devoid of its former glory. Piper Street had been a staging post on the road to the north eastern Victorian gold fields, and in the 1850s had boasted 300 “hotels” (read “anywhere that your could get a bed”). What is now the Kyneton museum was the official gold bank, where the miners could have their gold weighed and exchanged for money. Up until the 1980s the street had been a treasure trove of antique shops, but had fallen on hard times after the town was bypassed by the new freeway. In 2003 the new shop, “Balcony on Piper”, was the first upmarket business to open in years. Selling collectables from all over the world, including Persian rugs , the shop lead the charge that now sees Piper Street as a prime shopping destination and the home of award winning restaurants, art galleries and fresh produce stores. In 2010, due to strong demand for the exquisite rugs Margaret had collected and was now selling, she opened The Persian Room, to focus totally on authentic, collectable Persian rugs. Regular buying trips to Iran guarantees a constant flow of new stock. A growing team of professionals both in Iran and Australia supports the development of The Persian Room.